So, you want to upgrade your Huawei Y6 Pro Smartphone software to Android 5.1.1 Lollipop? Then follow this tutorial to do so. Before proceed to update process, we strongly recommend that back up all your important data (Pictures, Videos, Messages, Contacts etc) to avoid accidental loss. Two more things to check before update your device- Charge your phone to at least 50%-60% and your SD Card should have more than 4GB free space. If you checked everything as mentioned above then you are good to go now. 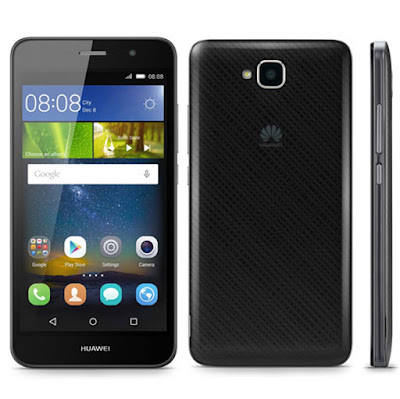 First, download the Android 5.1.1 Lollipop official firmware for Huawei Y6 Pro phone on your computer or Phone. Click on the below link to download the firmware. Now, extract the download firmware file, you should get UPDATE.APP file. Now, create a folder name "dload" in to your phone SD card and copy the UPDATE.APP file in to that folder. Now its time to start the update process. 1) Power off your phone. 2) Now Press and hold the Volume Up, Volume Down and Power key together for few seconds. When the Huawei logo appears, release the Power button. Hold both the Volume key buttons until update screen appears. 3) The update process will take around 5-10 minutes. 4) Your phone will automatically reboot after completing the update process. 5) After reboot, your phone will be ready for use with the Android 5.1.1 Lollipop installed on it. Hope you successfully updated your Huawei Y6 Pro smartphone to Android 5.1.1 Lollipop official ROM. Comment below if you found any issues while upgrading.